….check out Brent Holmes at FunTunesForKids.net. His music has been compared to that of Jimmy Buffet, James Taylor, and Raffi. I stumbled upon him during one of my many iTunes searches for kids music that I can imagine possibly listening to over, and over, and over, and….. 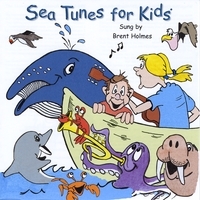 This year I used the song “Moontides” from the Sea Tunes for Kids album for a ballet dance for my Kinder/1st graders (ages 5-6). I’ve gotten more compliments and inquiries about that song than any other I’ve used for a show dance. 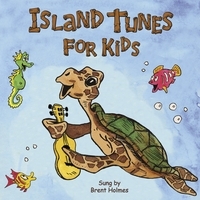 Adults and children naturally want to listen in to what Brent Holmes is singing because his storyteller’s voice is gentle and his words are interesting. During dress rehearsals I could feel an ease settle in when this song played, and parents seemed to love the way their children left dance class in a calmer, more collected state when we’d practice the “Moontides” dance right at the end of class.